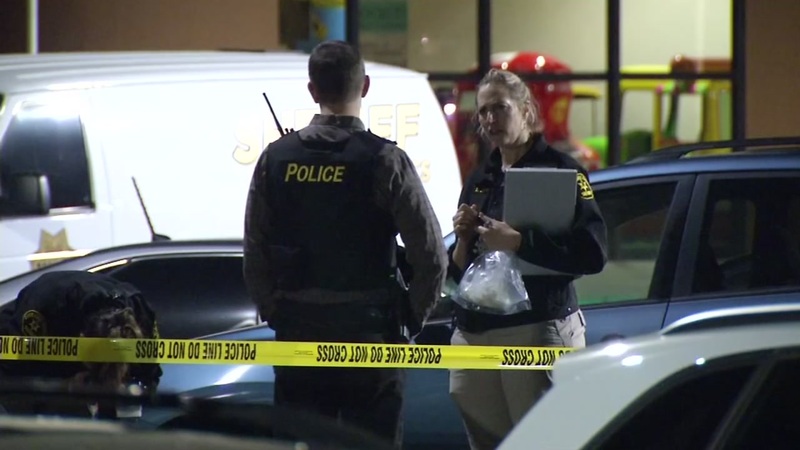 CAPITOLA, Calif. (KGO) -- A Watsonville man who shot and killed himself and his 7-year-old daughter in the parking lot of a Capitola mall on Sunday afternoon has been identified by the Santa Cruz County Sheriff's Office as 36-year-old Carlos Garcia. Garcia's wife called 911 around 3:15 p.m. to report that he was making suicidal threats from inside their family car, which was parked at Capitola Mall. Police arrived and found Garcia and his daughter in the car suffering from apparent gunshot wounds. They were pronounced dead at the scene. "What we know at this point is that the family was together in the mall for a period of time," said Police Chief Terry McManus. "At that point the father walked outside for a while with the 7-year-old daughter, and the mom was concerned, as I mentioned, that he was potentially suicidal, and so she called for the police." Police are investigating the killing. Sheriff's officials are not releasing the name of the girl because she was a minor. The National Suicide Prevention Lifeline provides free and confidential support for people in distress, prevention and crisis resources. They can be reached at (800) 273-8255, 24 hours a day, seven days a week. A GoFundMe page has been set up by the aunt of the victim to help pay for funeral costs. Click here if you'd like to help.